Philips Respironics is a global leader in sleep apnea treatment and provides CPAP masks of the highest quality and comfort level. Backed by rigorous research and advanced technology, Philips Respironics masks are designed with user comfort a priority. 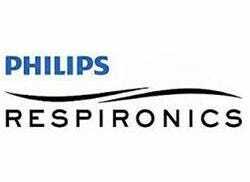 Browse our selection of Philips Respironics products, which are offered at the lowest allowable prices, and find the mask that fits your needs. Philips Respironics CPAP masks are designed to effectively treat individual sleep apnea needs and provide comfort. Whether you desire a full face mask, an under the nose nasal mask, or a minimal contact nasal mask, Philips Respironics has a CPAP to fit. Every style of mask is designed with comfort a priority, ensuring the best possible sleep for the user. The key to a good night’s sleep when living with sleep apnea is a properly fitted mask. Philips Respironics offers masks in various sizes as well as cushions in various sizes for a comfortable, custom fit. Many styles offer an open view with tubing at the top of the mask so you can fall asleep to your favorite book or TV show without a mask getting in the way. Focusing on your unique needs, Philips Respironics masks form to the face as comfortably as possible while creating a superior seal to ensure proper oxygen flow. The Wisp mask features a unique, compact design with a cushion just below the bridge of the nose for minimal contact. Its sleek design eliminates the need for a forehead pad, which allows for an expanded field of vision while the mask is on. Cushions of various sizes accompany CPAP masks: the DreamWear mask comes in three sizes of frames and four sizes of nasal cushions. The DreamWear mask gives users the ability to choose any sleeping position- with an extremely light frame and top air tube connection that doesn’t obstruct your view, the mask feels like it’s barely there. The DreamStation devices are remarkably user-friendly and are even available with Bluetooth, cellular or Wi-Fi options. Shop the DreamStation Auto CPAP, the Pico Nasal Mask or the Amara Full Face mask online at Cheap CPAP Supplies to discover the right mask for your lifestyle. Respironics offers CPAP Pro, CPAP Auto, BiPAP and Auto BiPAP machines to meet your sleep therapy needs. Remember our 30-Day Mask Guarantee when choosing your mask-call one of our experts today to discuss options at 1-888-909-5506.